Presentations without visuals are like sleeping pills. Who would want to read lines and lines of boring text? I would say no one. I recently gave a presentation about communication to a few team members from our production team. My presentation was filled with text in bullet points. When I started my presentation, the team was all pumped up before the meeting, and 15 minutes into it, you could see yawning and fidgeting. After the meeting, the feedback I got was as expected – “The presentation was so dull and boring”, “I wish it was explained in a more elaborate way that I could relate to”. I am sure, we all have been through a non-visual presentation and we were ready to drop dead! Now, what are the elements that can make our presentations eye-catching and visually attractive? Animations, illustrations, transitions, icons, images, graphics. Images can make our presentations beautiful. They add emphasis to our presentations and make them livelier. The only problem is figuring out which image format we should choose. 10 Easy Tips to Choose the Right Images for Presentations. 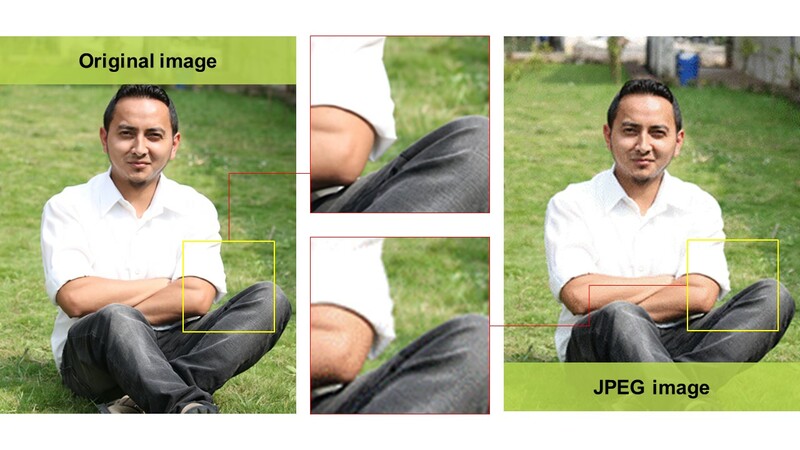 Picking the right image is one thing, but selecting the right image format is another. In this article, I will be talking more about image formats and how to pick the right one for your presentation. Each of these formats are not the same. They have their unique features with advantages and disadvantages. JPEG or Joint Photographic Experts Group is the most popular among all image formats used on the web. 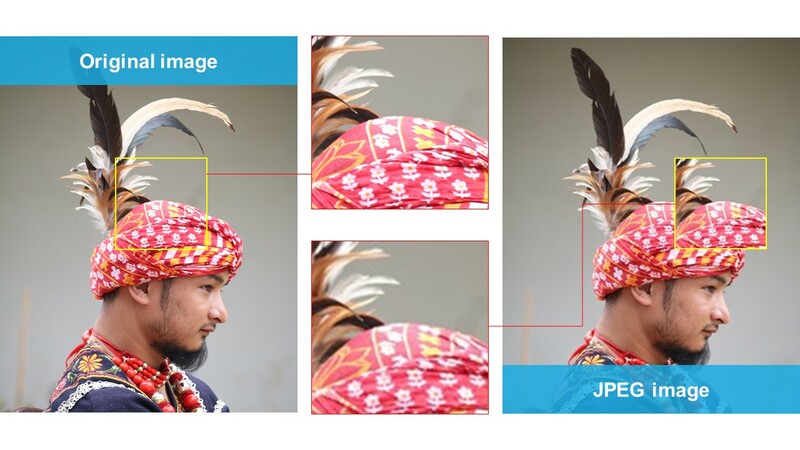 JPEG files are lossy, which means that when the original image is saved as a JPEG file, the image size is reduced, and a lot of information is discarded. The quality is also lost. JPEG format is a popular choice for PowerPoint. Graphic Interchange Format is a bitmap image format that is popularly known for its size. It is relatively small in comparison to other image types. They are the most widely used form of communication. But they are not a form we would recommend for PowerPoint. GIF has an 8-bit palette with only 256 colours. BMP files or bitmap image is a raster graphic image file format used to store bitmap digital images. They are image files within the Microsoft Windows operating system. The images are rich in colour, high in quality and compatible with all Windows OS and programs. 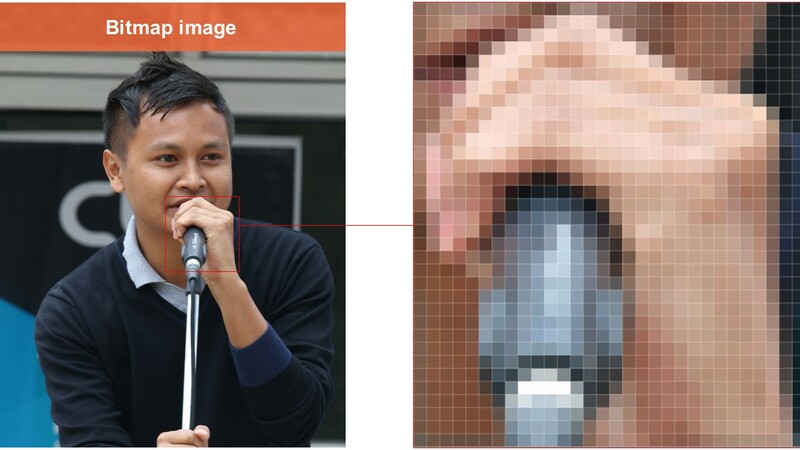 BMP files are made of millions of dots called ‘pixels’ and they can be 8-bit, 16-bit or 24-bit images. TIFF or Tag Image File Format is the perfect image format for page layout, publishing, and photo manipulation software. TIFF images are crisp in quality and rich in colours. They are flexible and can be lossy or lossless. They are supported by many imaging programs. However, they are not the best format for PowerPoint. But they can be converted into JPEG, PNG, and other formats that best fit PowerPoint. 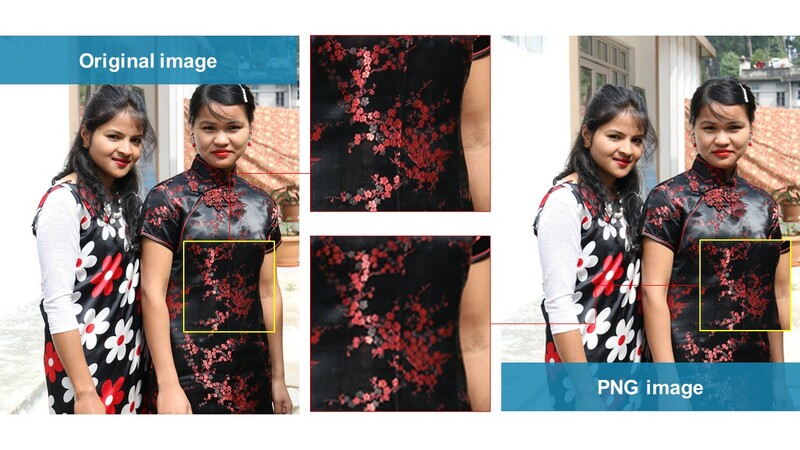 PNG or Portable Network Graphics is an image format specifically designed for the web. PNG is similar to GIF format. It is saved with 256 colours maximum, but it saves the colour information more efficiently than GIF. It also supports an 8-bit transparency. It is also best suited for PowerPoint. Choosing the right format for the right project will have impactful results on clarity and visibility. Especially when you are presenting to a crowd of more than 100 people, you have to be smart about images. If it is a reading Presentation and you have to share it with a number of people via email or file sharing, then it’s best to use light images like PNG. Knowing the different image formats will help you weigh in the file size, the color range and compatibility to help you decide which is the best fit for your presentation. Do not forget why you are adding images to your presentation in the first place. Including graphic elements to your presentations is not to make them just visually appealing but also to convey the presentation’s message effectively. Be smart when deciding what your image should convey. Keeping a random image in a slide without giving any thought on what the content conveys is pointless. It may even lead to confusion for your audience. On the other hand, getting the right image that relates to the content can do wonders. It simply paints the message conveyed clearer. Was this article helpful to you? Leave us a comment.